If you have as many windows in your house as I do, you are probably looking for a good way to save some money on window treatments, like I am! Ashley has a couple of great ways to hang curtains using DIY copper curtain rods. You will definitely want to check these out! 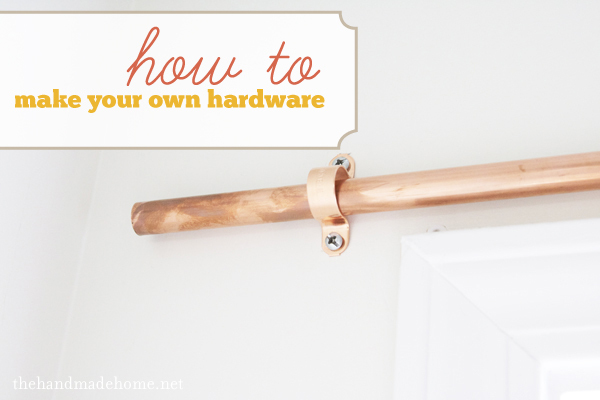 You can see her DIY curtain rod tutorials over at The Handmade Home.